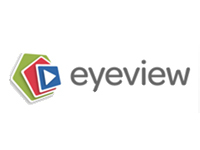 Eyeview provides personalized video advertising technology across all screens. By seamlessly integrating real-time messaging into video creative, Eyeview’s solution delivers a broadcast quality, an individualized viewing experience to amplify brand messaging making the video more relevant and effective. The company is headquartered in New York City with its R&D center in Tel Aviv, Israel.